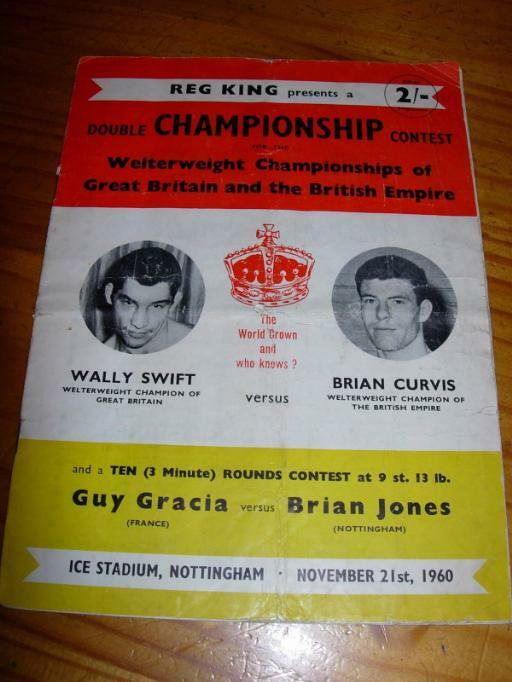 I was told in the 60's that Wally Swift the Boxer ran The Grand for a while. I don't know if this is true? And Needhams motorcycles on wollaton road is a relation of Dave Needham the boxer ?.. so don't mess with us notties, cos we've got backup! No - one of them IS Dave Needham! 'You didn't know of Bendigo? Well, that knocks me out! Who's your Board School teacher? Bendigo, a once celebrated pugilist and winner of eight prize fights within the year, died yesterday evening at Beeston, Notts, aged 69. His death was occasioned by a fracture of the ribs which penetrated the lungs. Of late years the deceased had been a preacher and was well-known as a leader of revivalist services. I remember seeing the statue of "Bendigo" when we used to go & visit my gran. She lived on Caldwell Terrace,we used to walk around there all the time. As a child I was fascinated by the lights & the smell of the pub where it was situated. In those days public houses had a smell didn't they or am I getting sentimental?? B) I hope that has satisfied your curiosity..Caz..
as in Shadrach, Meshach and Abednego! Meaning: servant of Nego = Nebo. This was the Chaldee name given to Azariah, one of Daniel's three companions (Dan. 2:49). With Shadrach and Meshach, he was delivered from the burning fiery furnace (3:12-30). It's no good bip! .. although you know we're all ardent sports fanatics on this site, this one has left us entirely stumped! I've tried to reseach him, but come up with absolutely nowt! He died on the 1st March 1986..
it was the Joe Louise clue that clinched it.. I know very little re boxing, other than watching major fights on the tv, however, it seems Tommy was a celebrated boxer in his day, and the link below fully describes his exploits. 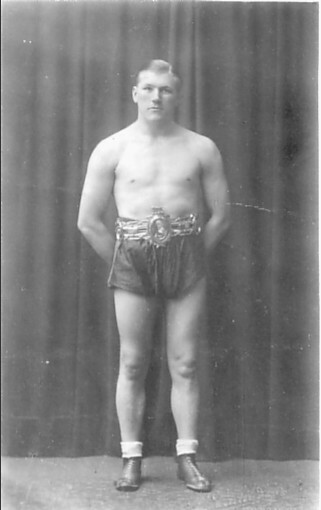 :D To tell you the truth when me mum showed me the picture i had no clue who he was until she told me...Then i had to do some research to give you those clues..
Bendigo used to bare knuckle fight, I believe in Sneinton also at Bendigo's ring - now a small copse surrounded by Top Valley houses. His ring was at Top Valley? We could do with an image here. Sorry to burst your bubble Den, but they couldn't have listened to live matches over the radio from the States them days. Takes me back to when I was a junior at Blue Bell Hill Junior school. The teachers would leave the Redifusion speakers in the halls at lunchtime so as we could listen to the Ashes matches "live" from Australia...Hmmmm yeh... they knew how to use "sound effects!! It wasn't until the 1970's that real live broadcast were possible across the globe. I watched a short, the first, live broadcast in the 70's from the USA to the UK and Europe. Eurovision song contest??? via Telstar?? which wasn't a geosyncrynus satellite, so they only had about a half an hour window. There could be one possiblilty of hearing a match though Den, shortwave radio IF the sunspot cycle is right! As a lad I would visit the Jumble sales, mostly returning with a valve radio with Shortwave. I would spend hours tuning through the ether. I wonder perhaps would they transmit for Forces stationed overseas? USB/AM? Interests:Hello, I am into Rock and Roll (particularly Elvis! ), I like Deep Sea Angling, I luv eating, hence my extra large waistline, and I just love getting up on a Monday morning to go to work!!! What about Kennington Road Herol " Bomber " Graham ? Anyone else got anything to photograph and upload.? 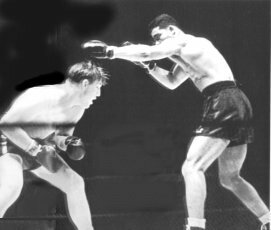 Sorry Ayup......The Louis/Farr title fight from the Yankee Stadium was broadcast and listened to by thousands in the UK, Farr lost by the narrowest margin to the "Brown Bomber" ....and this was when Joe was at his peak. Radfords finest Wally Swift with my Sister . Thanks for that one Red. Big Guy or Small girl?